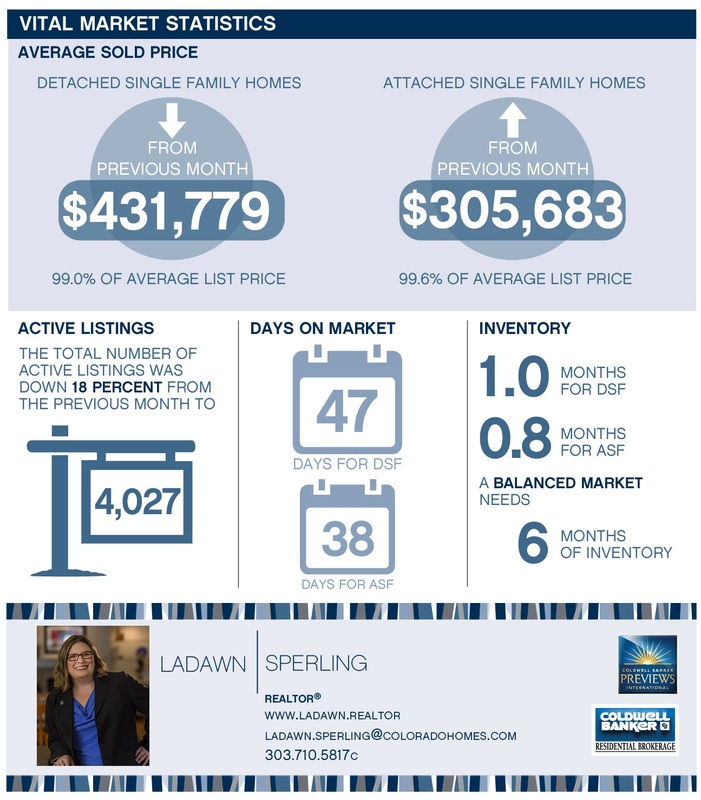 Activity during December followed typical seasonal trends with inventory dropping and days on market (DOM) increasing. Average price for detached single family (DSF) homes dropped 2.6 percent from the previous month but ended the year 4.8 percent higher than a year ago while attached single family (ASF) homes bumped up from the previous month to a new record high, increasing 10.5 percent from the previous year. If interest rates increase, the market could be impacted at price points where buyers are most loan-dependent (in the $200,000 to $600,000 range). Based on information from REColorado®, Inc. provided by Land Title for the period of Nov. 1, 2016, through Nov. 30, 2016, for Adams, Arapahoe, Broomfield, Denver, Douglas, Elbert and Jefferson Counties. Note: This representation is based in whole or in part on content supplied by REColorado®, Inc. REColorado®, Inc. does not guarantee nor is in any way responsible for its accuracy. Content maintained by REColorado®, Inc. may not reflect all real estate activity in the market.